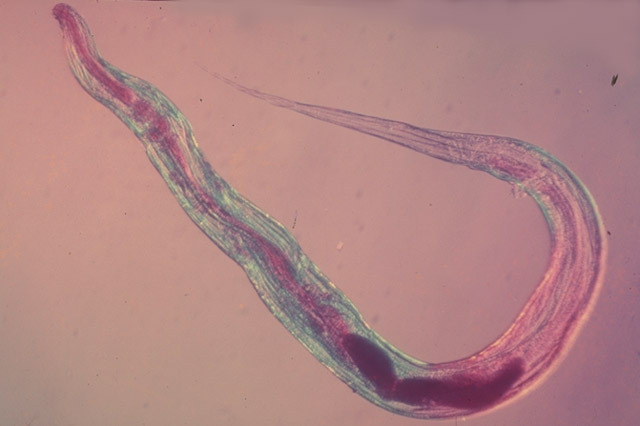 Enterobius vermicularis is a common intestinal nematode of the large bowel. Pinworm infections often remain asymptomatic. The short-lived female worm (about 1 cm in length) deposits its eggs once on the perianal skin. Within hours these eggs become infectious with a first-stage larva. If eggs are swallowed, these larvae hatch, moult twice in the intestine and become adults. 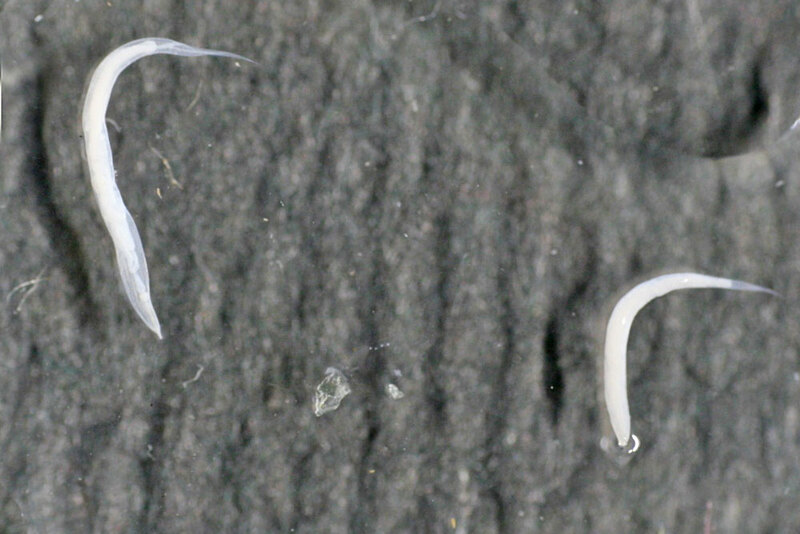 Within 2 weeks, female adult worms may produce eggs.